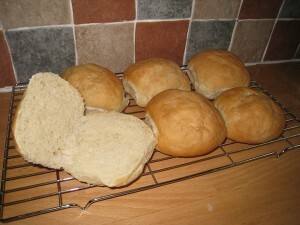 For a while now I’ve been looking for a good recipe for soft, light and fluffy bread buns. Don’t get me wrong, I LOVE bread with a good crunchy crust, but you can’t beat light and soft bread baps for for sandwiches, burgers etc. So after months of searching and several batches later I’ve come up with what I think is a great recipe. The recipe shown here makes 6 large rolls but you could easily adjust the quantities to make more or less. I recently found out about a cool event being hosted by Lindsay of Love and Olive Oil and Julie of The Little Kitchen called the Great Food Blogger Cookie Swap 2011. The idea is that food bloggers make 3 batches of cookies, send them out to other food bloggers and get 3 different batches in return. When I first went to sign up I was a bit disappointed as it said that it was US foodies only (I’m based in the UK). However, after reading on it said that if there was sufficient interest in other countries then they would expand it. As luck would have it, several other UK based foodies had already signed up so it was all systems go! I’ve got myself all signed up and I now just need to decide which recipe to use and get ready for baking day. Once the swap has been completed, everyone who took part will be posting their recipes on their blogs on the 12th December 2011. So come back then to see which flavour I went with! This week I was asked to make a trifle for a friends christening. I absolutely LOVE trifle but I don’t get to make it very often so I jumped at the chance. 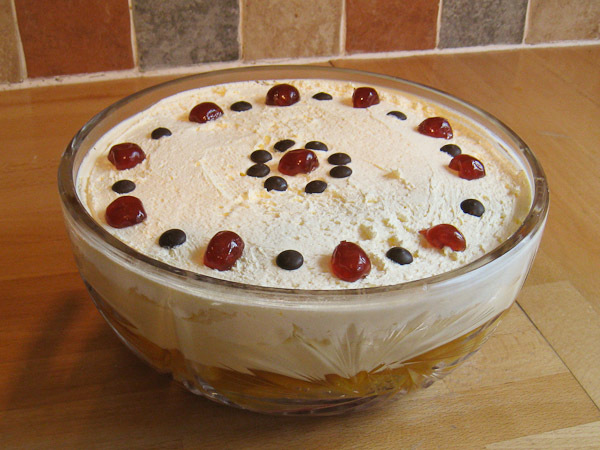 Everyone has their own idea of what makes the perfect trifle, some people like more custard, some people like less cream, others prefer jelly in the bottom and some people (if you can believe it), don’t like trifle. 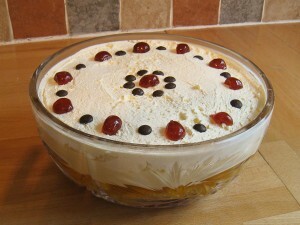 Below is my version of the traditional English trifle. It’s a fairly simple recipe but has lots of scope for changing things to your own taste. Today I was trying to re-create a delight from my childhood – “Japs”. These were sold in the local bakery when I was a kid and were almond (I think?) flavoured macaroons with a buttercream filling finished off with chocolate sprinkles around the edge. They were about 6cm tall and 7cm in diameter. I searched the internet (as you do!) 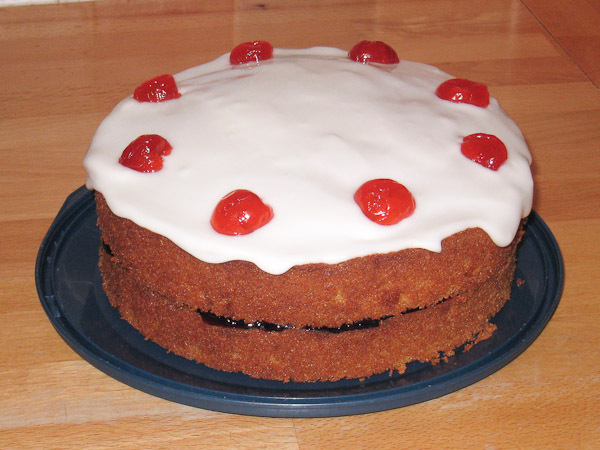 and found a few references to them, apparently they are often known as “Jap cakes” or “Japonaise cakes” and are still sold in Scotland and a few places around here in Yorkshire. 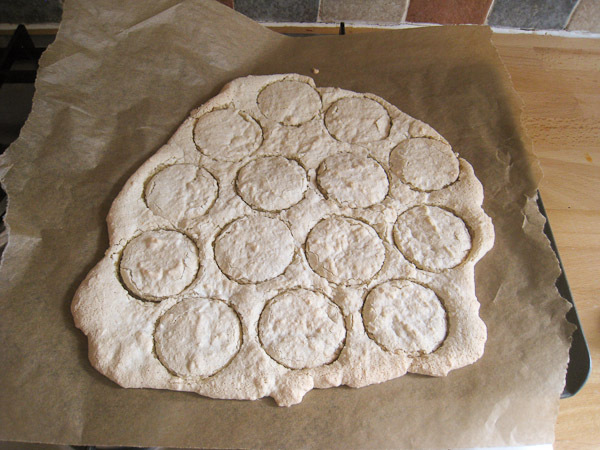 I found a recipe that looked promising, but as you can see from the photo they turned out a bit of a disaster – they were supposed to be much higher! I’ve never made macaroons before so maybe my technique wasn’t up to scratch. I may have to try making some “normal” macaroons first. So if anyone out there has a recipe that works I’d love to hear from you. This is a really easy to make Cherry Bakewell cake which uses the “All in one” method. It’s great if, like me, you just love the taste of traditional Bakewell pies and tarts but don’t want to mess around with pastry. I spent most of my time at food festivals and shows over this weekend. 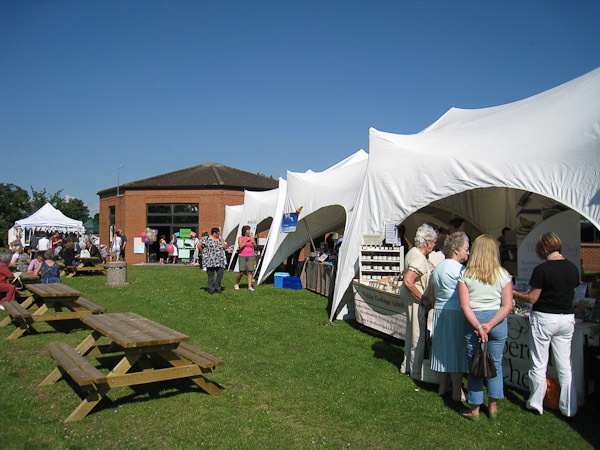 The first, on Saturday, was Boroughbridge High School’s Fabulous Food Festival. This was arranged as part of the Food for Life Partnership scheme of which Boroughbridge High is a Flagship School. 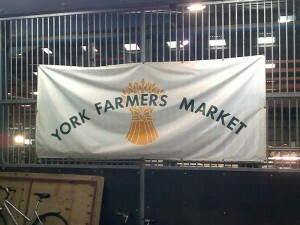 A few weeks ago I spent Saturday morning at York Farmers’ Market, Murton. 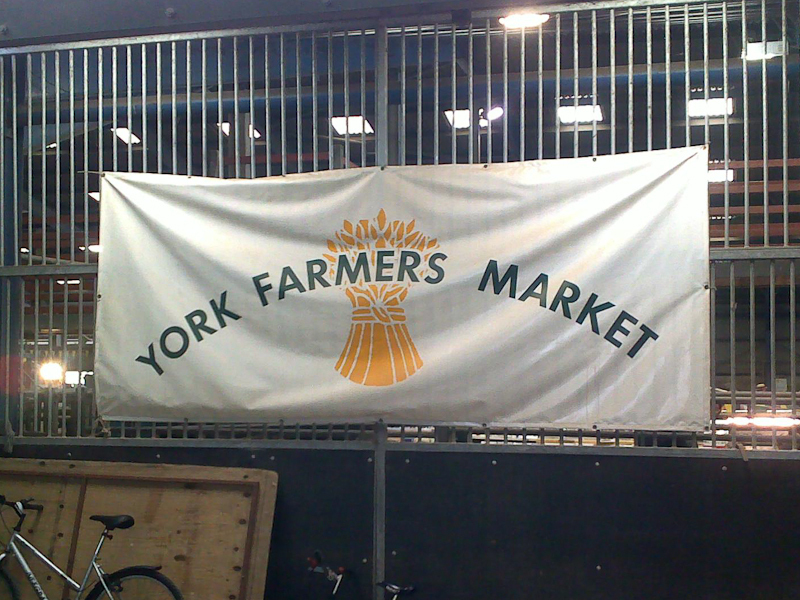 The market is held on the 3rd Saturday of every month at the York Auction Centre, just off the A166 (by the A64, Grimston Bar roundabout). It starts at 9.00am and runs until about 12.30pm. Recently someone on Facebook asked for a UK based recipe for a Guinness and Chocolate cake (i.e. using grams instead of US cups). So I dug through my recipes and found this one. Once made, it is supposed to look like a pint of Guinness. I must add, I haven’t tried this recipe yet so I would love to hear from anyone who tries it. Hello and welcome to my new foodie blog. In this blog I plan to bring you loads of (hopefully) interesting food related items including recipes, tips & tricks, product reviews and details of farmers’ markets, local producers etc.